The pallet magazine/pallet stacker PALOMAT Greenline – which is a part of our Stand Alone line – is for automatic pallet stacking and destacking using the touch-panel. PALOMAT Greenline only requires a 230 V power supply. 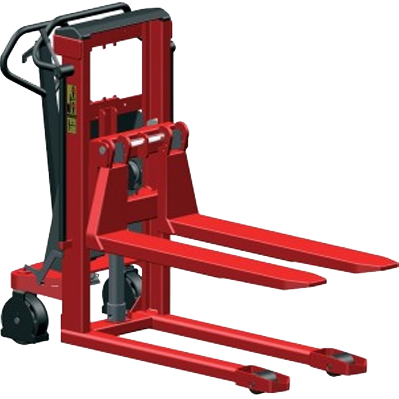 The user inserts or removes the pallets using a stacking truck or a fork lift truck. 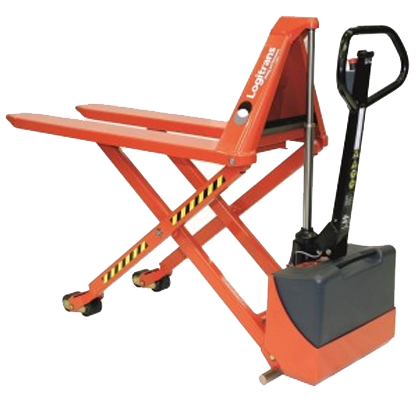 All pallet handling is carried out at floor level. 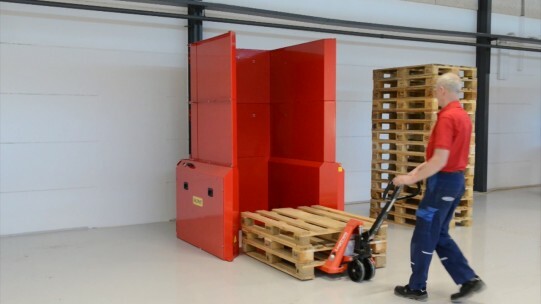 The PALOMAT Greenline detects the pallets via photo sensors, aften which they are automatically stacked or destacked one by one. 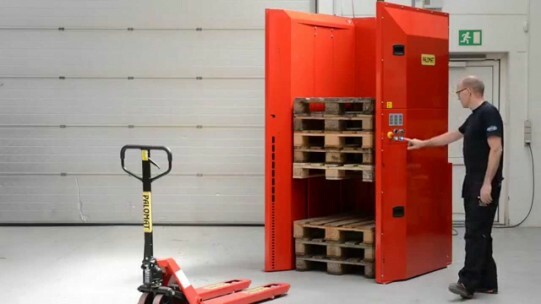 When selecting destacking, a stack of no more than 15 pallets will be inserted in the PALOMAT, after which the pallets are automatically destacked one by one. 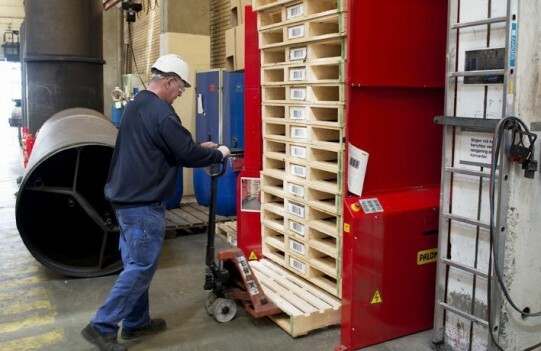 When selecting stacking, the pallets are inserted one by one, after which the pallets are automatically stacked to no more than 15 pallets. The entire stack can subsequently be removed. PALOMAT Greenline is only operated manually using the touch panel when there is to be a change beetween stacking and destacking or vice versa. In addition to this, the PALOMAT Greenline operates automatically. 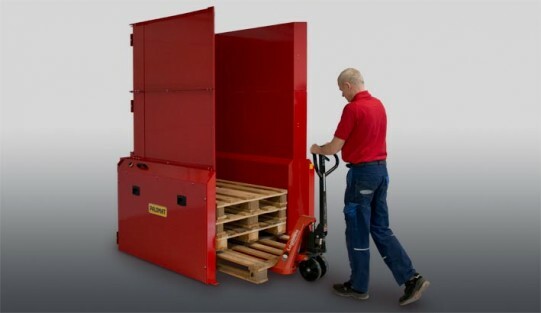 The pallet magazine/ pallet stacker PALOMAT is a standard pallet magazine but has a lot of possibilities when it comes to types of pallets and sizes. Customer-specific solutions can be offered.